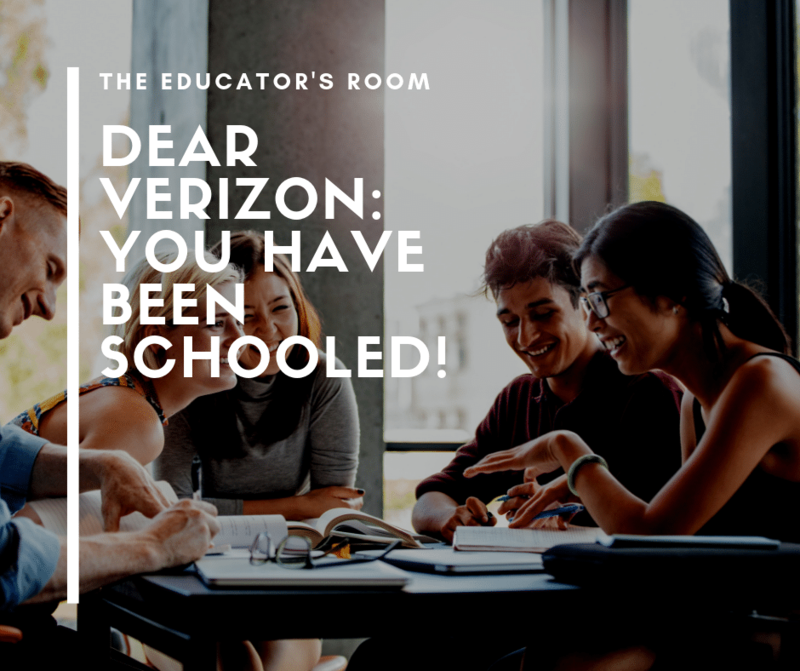 Dear Verizon: You Have Been Schooled! Remind.com recently announced that beginning on January 28, 2019, seven million Verizon customers would no longer receive texts from a free and beneficial education app known as Remind. Verizon had classified the Remind app texts as spam and therefore declared that they would not transfer the Remind texts to Verizon customers. Remind has over 31 million participants and 7 million of them are also paying Verizon for their phone service. Remind is an app used by administrators, teachers, coaches, and community groups. It is free of charge, and it is enormously useful in the planning of activities, rescheduling of assignments, and the clarification of due dates and expectations. If you want to know more about the service, I wrote about my adoration of the application in a piece entitled Gratefully Addicted to Remind.com. However, this piece is not about Remind.com. This article is about corporate responsibility and greed. Verizon wants money. Therefore, they decided to charge Remind a fee to use their network. It was a corporate decision, an option, a choice. Remind cannot support the increased cost, because like public education, they operate on a small budget. The public outcry was fast and fierce. #ReverseTheFee trended on social media platforms. Verizon felt the “teacher look” directed like a laser beam at their company. In essence, Verizon got schooled. They made a bad choice and needed to try again. Verizon is going to have a tremendous amount of unsatisfied customers if they do not reverse the fee, permanently. Furthermore, Verizon once supported educators offering them up to a 20 percent discount on their monthly bill. However, recently when an existing customer changes their plan to unlimited data, the educator’s reduction is not offered. Verizon has already earned teachers’ collective attention. Verizon now has a bad reputation. The company needs to learn its lesson and reinstate the educator’s discount, or face a Remind like backlash and a boycott. Verizon miscalculated the collective strength of educators. We need to demand more from the companies that educators support.